Verity! 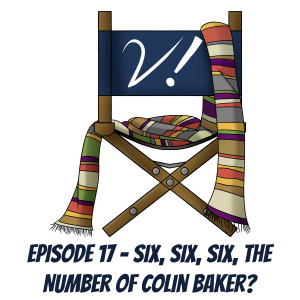 Episode 17 – Six, Six, Six, the Number of Colin Baker? And just like that, we’re back to our 50th anniversary countdown of the Doctors, and it’s the sixth Doctor’s turn! Join Deb, Erika, Kat, and Liz as we discuss the delights (or lack thereof) of Colin Baker’s reign as our favorite Time Lord. Or is the Doctor our favorite Time Lord, now that we’ve seen the Rani? That’s right, we’re talking about “The Mark of the Rani”, which at least one of us thought was the most representative story of the sixth Doctor’s run. Is old Colin as bad as so many folks say he is? Is Peri? Does the Rani now own Deb thoroughly? Should we have covered “Timelash” instead? We don’t actually agree on most of these things, but boy howdy do we have a good time talking about them! Erika appears on Nerdology UK and at Westercon 66! Anyone can submit cool stuff to our Verity! Tumblr! The Doctor Puppet Animated Adventures in Time & Space! The Verity! cast appears on the season finale of The Oodcast!